Career planning process is purely preparing oneself for the future career. It requires well equipped, good competency skills and more structured way of planning and performing. Here one has to understand the potentiality, personal interests, deep observation of the job market and even the goal setting. Thus these efforts will help an individual in preparation for the career. According to Schermerhorn, Hunt, and Osborn, “Career planning is a process of systematically matching career goals and individual capabilities with opportunities for their fulfilment.”. Also helps you in maintaining good work-life balance. It helps you grow and expand the required skills and abilities that match various career roles. It builds up work-related activities stronger at work. 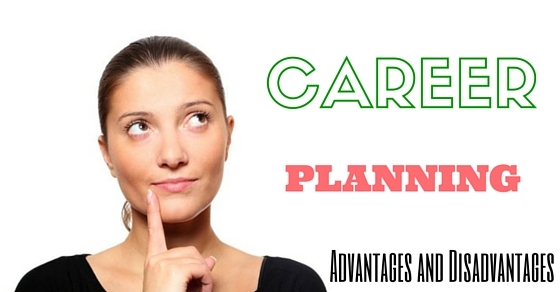 Career planning clarifies you regarding life, career and your interests. Guides you in your professional front, as they directly relate to career goals. Helps you find the special characteristics of the employees. Understand each employee’s uniqueness and speciality. Always try to attract a talented workforce to the company. Train employees well towards team-building skills. Develop better ways to manage emotions, conflicts and stress at work. An individual should start career planning right from childhood. Nowadays lie has become more competitive and complex. So there are quite lots of struggles waiting in the future. An individual should learn to baffle so as to select the right profession. Students or employees those who don’t have a proper career plan or career opportunity should become aware of the career opportunity programs. People who have robust health are dependent on the sense of strict discipline and even it matters when the guidance of the mission occurs. It has almost severe mental makeup, training, knowledge on aptitude, will-power and respective skills. It depends on each profession that even may result in frustration and failure. It helps one to take actions regarding the long-term goals. One cannot judge themselves in taking right decisions. It can be achieved via experience. Job satisfaction has become a common issue among social workers which determines mental stability, creative ideas, and recreational facilities. It includes wealth, salary, necessities of basic living, working conditions and realistic expectation. It becomes the cause for anxiety, depression, and nervousness etc. It also improves their life quality. This is considered the final fact in achieving success. To understand the different pros and cons of job satisfaction. Promotions deals with the essential inducement of all the changes that are related to extra values. Here one must try to accomplish and even quantify them. It is listed by sorting the negotiations, threats and even the length of time. It is managed within the course of actions by the organization. Personal growth is considered the biggest challenge in career development. Here people can be effective. It deals with most personal cases such as depression, stress management. It has to show the maturity that is endowed with the detailed analysis of the growth of the organization. It is gained when an employee has significant aspiration or commitment towards work. It happens with the sense of loyalty and even as the management expects. It gradually changes the globalization and harder to find. It becomes harder when the employee does not meet the expectation of the organization. The global environment is confronted as today’s loyalty of the employee towards the respective organizations. If the employees are hired for the organization then they keep a complete track of the terms and process that are involved. It also manages the downsizing, attitudes, and behaviours that are limited to self-psychological attachments. It relates to the people striving for higher salaries. It ensures the availability of people with efficient skills and highly talented employees. Here the organization concentrates more on promoting dataset resources. The employees are allowed to face the dangers which are full of competition. It has defined the quantity of the internal emotional components. It becomes a necessity for management to understand the difficulties that the employee undergoes. Career planning is one of the benefits of career development which aims at the development system of the employee. This helps in the guidance and assistance of aspirations, desires and the objectives of the growth. It has more goals that are to be accomplished. It triggers communication between employee and manager. It has average calibre towards the growth of each employee that is manually marked to pursue from greener pastures. It changes the rapid skills, knowledgeable workforce, focus etc. An organization will help an employee’s career growth and development so as to set personal goals and opportunities to make the employee undergo adequate training. It recognizes the shared responsibility of the employee that ensures various policies and programs within the training provided. It can be managed through self-driven supports. It has an additional responsibility for higher level employees. It is important when the company has trusted resources and even the employees with various natural tendencies. Here the best thing to slack off starts where an individual is responsible for the outcome of the project. It endures repetitiveness that maximizes the gap for learning. This deepens the ability to communicate so as to perform multitasking. It improves teamwork and also neglects nonverbal signals, unhealthy patterns of behaviour. It calms down the conversation between the speaker and the receiver. It also avoids interruptions. This process helps in time management. It also makes sure that the posture along with the facial expressions is identified within the emotional nuances. Opportunities have surprised both the virtual conversations and direct conversations along with the significant, power and to the extent of collaborating with the short-term and long-term projects. It helps in lively professional opportunities in the overall career based desires. One can access the reputation of the organization so as to define about the direct conversations. Improving employee engagement promotes good opportunities and a variety of outcomes. It involves high turnovers and high-level engagements. It compensates for the quality of work and business scoring. The defects that are spent has bottom quartile analysis and lower scoring along with business lines. This is one of the best advantages of planning. Skills that are developed to achieve the ambitions successfully are known as internal skills. It ensures satisfactory results of the planning. It has its own scope. Here the activities are designed in such a way to achieve the goals. It has upgrading and self-improvement of each and every task. It revolves around the career development so as to use the host and whole set of general information along with the respective practices that are to be followed. Personal branding helps career planning for large companies and even the activities of a strong personal brand are held. To build up a career plan one has to mention that the strong brands involved are defined as per the system that is followed earlier. Here one can give straight advice to control the business-related brands. Self-assessment involves consideration, reflection, and evaluation of the interests that are enhanced within the identified skills. It also includes the usage of whole hosted career responsibilities. It is related to cost tools and instruments that help in motivating and assessing oneself. Planning involves components such as exploration and research. It tempts to gather details about the availability of information, collecting and organizing them. It has defined options and outcome of all the reported source of data. It also analyzes the gathered collection of data that are modified and set as goals for further moves. This is the main phase of career planning. It helps one to put all the collected information regarding career and involve in the deep understanding of the scope that this selected. It manages when the list of career goals are identified. It has collected a set of information that is eventually handled as best as possible. Career planning helps in developing a network that has the supportive way of listening that are modified within the generated goals. An individual must initially realize the goals that involve learning new ideas by asking and listening to others. It also helps in fulfilling current job opportunities that are prepared by one. It creates judgments that are redirected through the conversations. Its postures are communicated effectively that allows communication to withhold blames at the event of profound connection. When the plan is designed and executed as per the identification then one can find motivational level being increased and even with the employee’s path to reach higher and efficient orders. It also reduces employee turnover. It has increased level of forecasting as to define the succession planning. If a proper goal is fixed then one can identify changes in motivational level so as to achieve the next target of the career plan. Though there are multiple methods of planning one’s career, it has few disadvantages of planning in management also. They determine the relevance towards a career. Here are a few disadvantages of workforce planning. Career planning has become the opportunity with the impossible small organization. It helps in developing the defined targets. It becomes the disadvantage if the goals are improperly set. The decisions are made so as to check the deep understanding of the plans. It is not suitable for small-scale industries because of vertical mobility. One should make decisions without fixing a proper goal. It affects communication that has an impact on the ability to view decisions. It has adverse effects on growth. It has short supply over the ruined items and more due to the shortage of practices. It paves way for the rejections and disapproval of the involvements. Here the government rules and regulations play a vital role. The goals have to be analyzed and are to be designed within the given time. It is to decide and change one’s nature of being. The Government rules are preferred as the reservation systems are maintained. It intervenes with the desired data that are handled within the short term. It deals with one success strategy that is self-managed within a certain duration and even the designed career plan process. It establishes the large workforce that is handled within strict depth analysis process. This also routes to different scenarios that lead to unsuccessful exercise. When a career path is selected it should not be chosen blindly instead one must analyze the schedule within the state of long-term gains. Profound goals are enhanced by the current status which will be validated. If the career planning is completed and if suppose one is working towards it and if suddenly there is a drop out in that particular sector, then that pre-planned career becomes invaluable. Nowadays most of the organizations often fail during their uncertain activities. Many employees are unaware of the career planning strategies. It meets with the lower levels of programs that are considered in loss of pay. It motivates and structures people with limits of applicability in uncertain situations. It has promotions on strict observance of objectivity. It has a sustained basis that tends to spend a lot of time and resources. It has beneficial long terms career plans for a long-term goal that are set. It may not be effective with career changes. It has advancement in the long-term and is the time-consuming process. The logic sufferings based on ready to spend a lot of time would run beneficial only in term of analysis. It has defined an undetermined plan towards the goals that are set. Here the career planning process has a depth analysis of the long-term goals. Due to process analysis, the planning is sustained for a longer run. A large number of workforce is required to involve in developing it. The quality of the indicator has been checked so as to ensure whether the designed plans are regulated. Thus career plan development enhances a person’s career that in turn is reflected in proper understandings and communications. Career planning also termed as succession planning advantages and disadvantages have been mentioned above. Career path is subjected to the sequence of work experience which an individual can gain if there is proper implementation of plans. Hence the goals are to be set in a creative, broadminded manner so as to encourage in achieving the goals. Previous articleHow Medical Professionals Can Handle Workplace Injuries?